If you’ve been following Seoul Searching for a while, you might have realized that there has been a significant decline in the number of recent posts. I blame this mostly on the fact that I’ve been blogging full-time for a living, which has kept me pretty darn busy over the past year, to say the least. Because of this consistent preoccupation, I’ve come to really appreciate small vacays from Seoul and corporate life, and have relied on weekend getaways to help me maintain my sanity from one month to the next. With warming temperatures and spring just around the corner, I figured there was no better (or more convenient) escape from Seoul than Jeju Island—a little piece of paradise off the southern coast of the Korean peninsula. But deciding on accommodations that offer both convenience and comfort isn’t always easy. 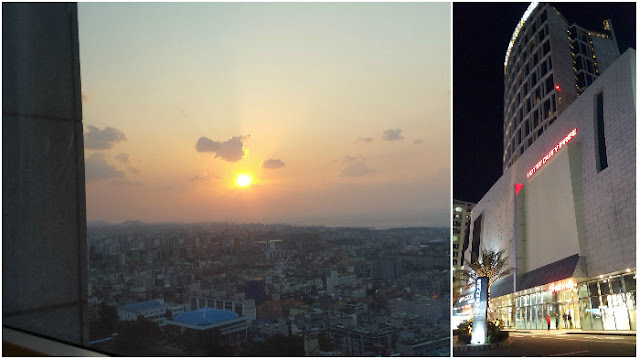 After combing through numerous reviews and user-submitted photos on TripAdvisor, I finally decided that the Lotte City Hotel Jeju would be the perfect place to set up base camp on my most recent trip to the island. Conveniently located less than a five minutes' drive from the airport by taxi, it was easy to get to the hotel upon arrival to the island. The check-in process in the lobby on the sixth floor was just as painless. 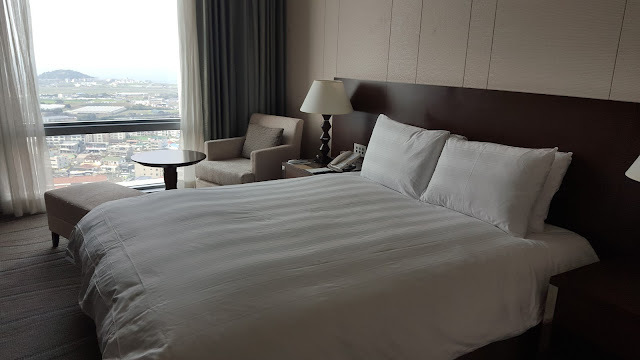 Less than an hour after landing, we were in our Executive Double Room with Ocean View on the 18th floor enjoying gorgeous views of the Yellow Sea. Equipped with modern amenities and contemporary decor, the room offered a comfortable atmosphere. The big screen TV provided good entertainment, but not as good as the sunsets we watched over a bottle of wine at the window. There was also complimentary bottled water, coffee and tea, as well as free internet, making the room all the more convenient. The bathroom was a bit on the small side, but had a nice bathtub/waterfall-style shower. What impressed me the most was the fog-free mirror, which made getting ready in the morning faster and easier. 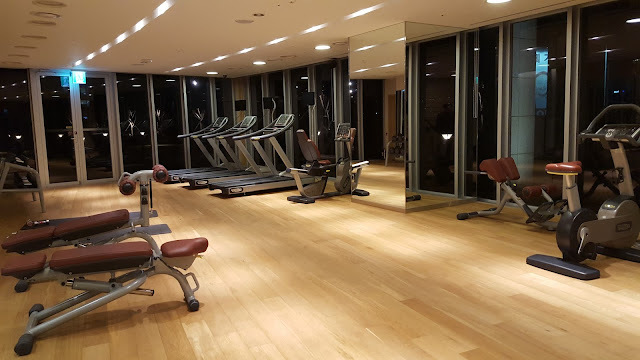 The location of Lotte City Hotel Jeju was just as fantastic as the amenities. Situated smack dab in the center of the city, the hotel makes for a great base for exploring the island. The hotel itself is a bus stop on the Jeju Golden Bus City Tour, which stops right at the entrance, making it extremely easy for visitors without cars to see all the major nearby sites. Also, there are plenty of shopping and dining facilities within walking distance, which keep guests entertained at just about any hour of the day. 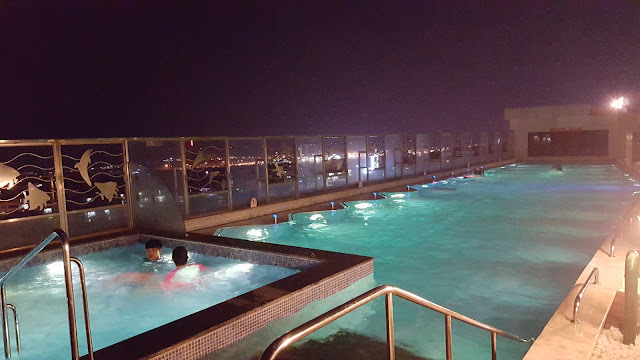 After enjoying an indulgent dinner of black pork at Donsadon across the city, we headed up to the sixth floor for a dip in the heated pool—one of the amenities that initially drew me to the place. Overlooking the night lights of Jeju City and the sea, the pool—which stays open throughout the year until 10pm—immediately resolved just about all of the office-related stress that had accumulated over the previous few weeks. Unfortunately the swim-up pool bar wasn't open at the time, but probably would've helped even more. The ultra-comfy beds, which incorporate a He:on Bedding System mattress and Hungarian goose down duvet, provided a good night's rest. Breakfast was served at C`cafe until 10am, which let us sleep in a bit. Located on the 22nd floor, the restaurant offered views of the surrounding area that were just as delectable as the buffet. The buffet consisted of a nice selection of hot and cold breakfast foods ranging from eggs and bacon to yogurt to even dim sum. Had we wanted to work off our overeating, we could have used the nice fitness center, which was included in the cost of our room, but come on! Who’s going to work out on vacation? After exploring the best of the island, we made it back at a fairly reasonable hour and watched a few movies before turning in early. After another great night of rest and relaxation, we woke up refreshed and enjoyed one last round at the breakfast buffet before checking out. The English-speaking hotel receptionists wished us well before calling us a taxi to the nearby airport. 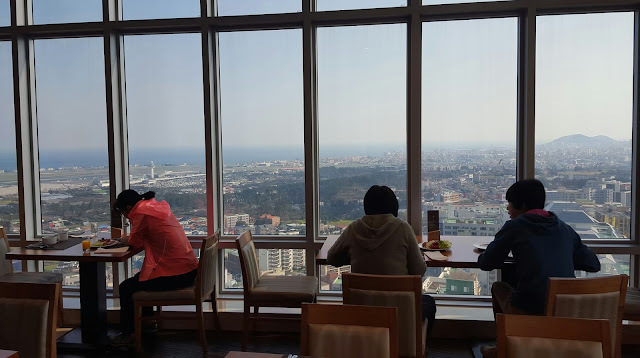 Lotte City Jeju Hotel was a winning combination of relaxation, service and convenience and is highly recommended for anyone looking to enjoy the island comfortably without breaking the bank. Price: Executive Double Room with Ocean View starts at ₩200,000/night. 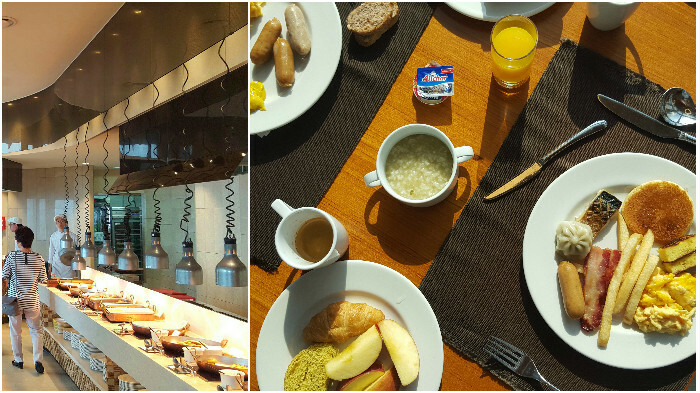 ; Breakfast ₩33,000/person. How To Get There: (Via Airport Limousine Bus) From the airport, take Seogwipo bound no. 600 bus. Route: Airport → The Hotel → Lotte City Hotel Jeju. Travel Time: About 15 min.